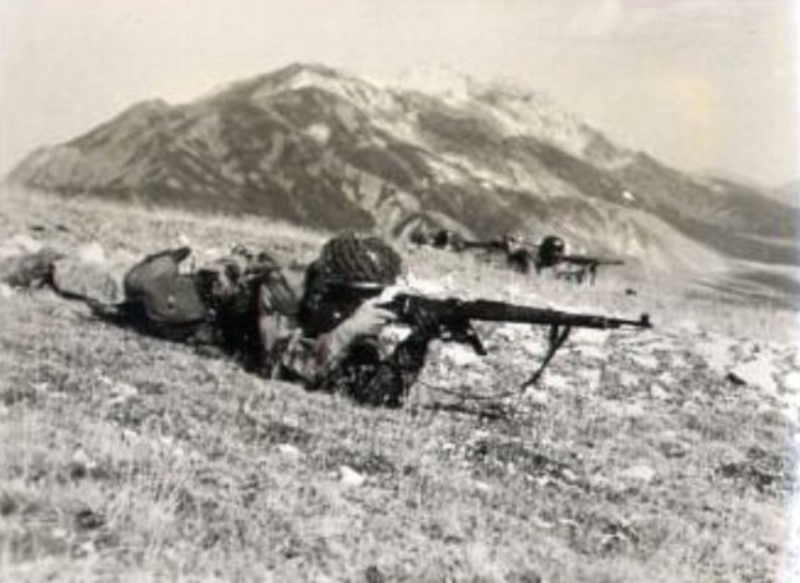 Gran Sasso – Abruzzi – 12 Settembre 1943. 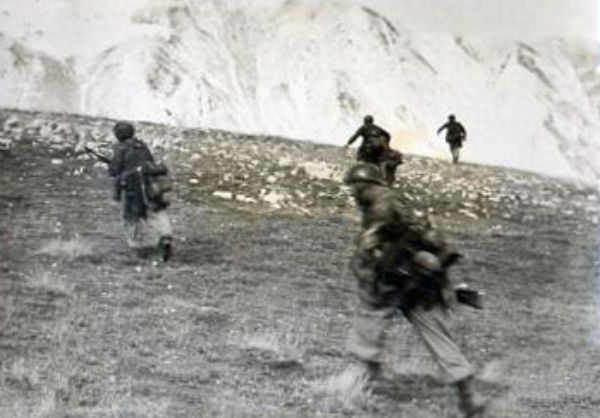 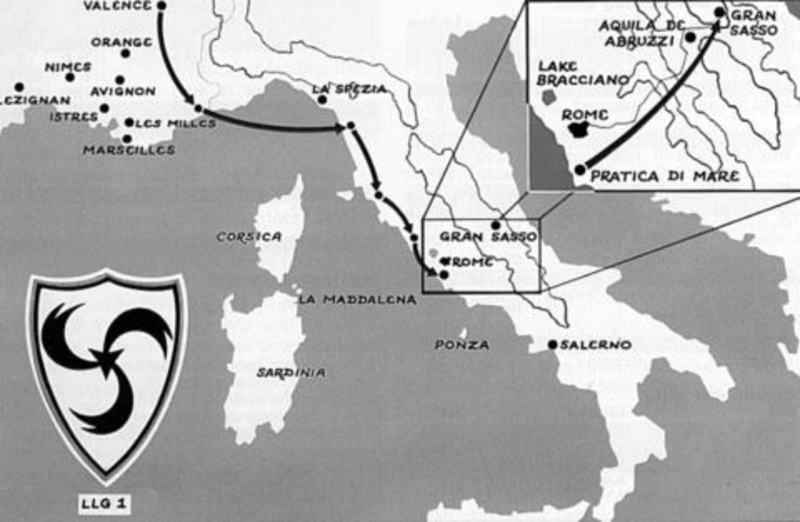 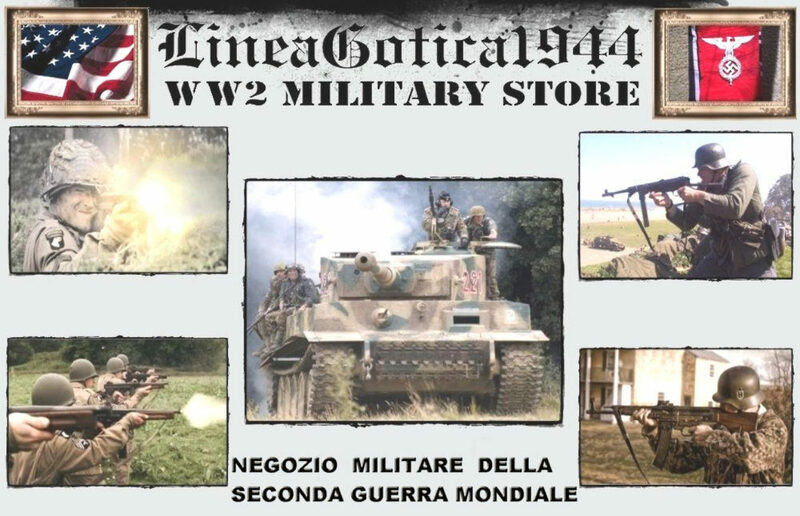 The Gran Sasso raid refers to Operation Eiche (German for ‘Oak’), the daring rescue of Italian dictator Benito Mussolini by German paratroopers in September 1943, during World War II. 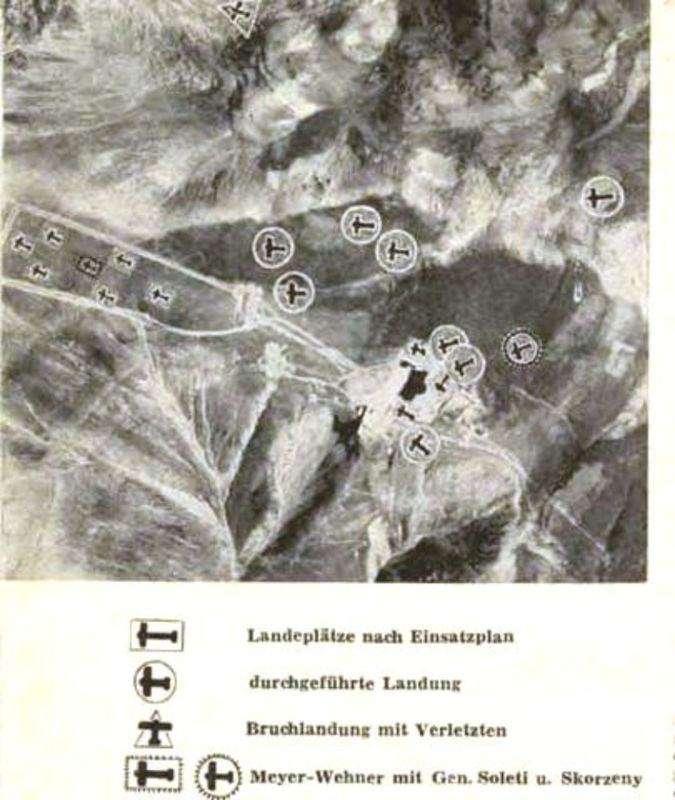 It was personally ordered by Adolf Hitler, planned by Major Harald Mors and approved by General Kurt Student. 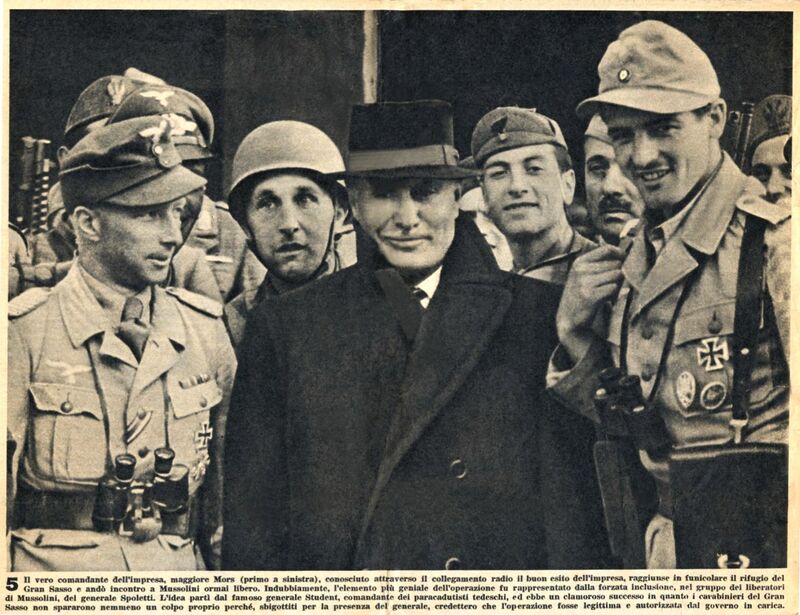 On 25 July 1943, a few weeks after the allied invasion of Sicily and bombing of Rome, the Italian Grand Council of Fascism voted to depose Mussolini and replace him with Marshal Pietro Badoglio. 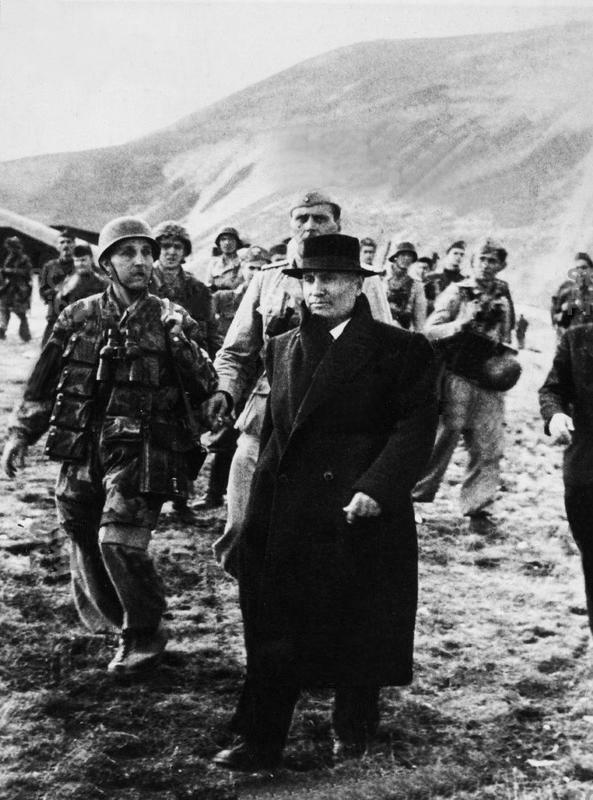 Mussolini was subsequently arrested on King Victor Emmanuel’s orders. 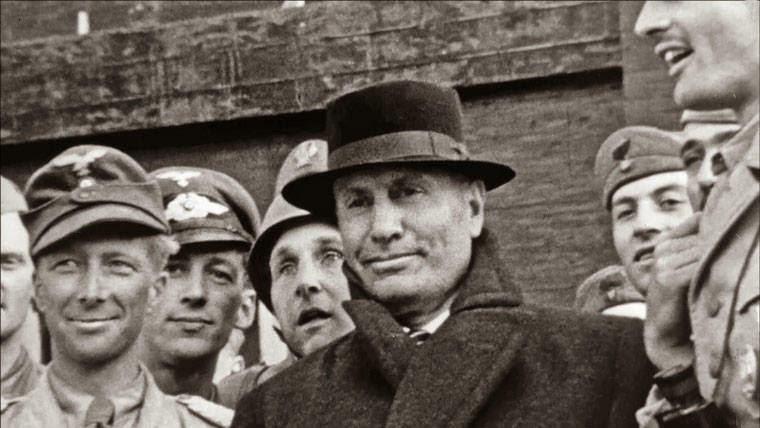 After his arrest, Mussolini was transported around Italy by his captors. 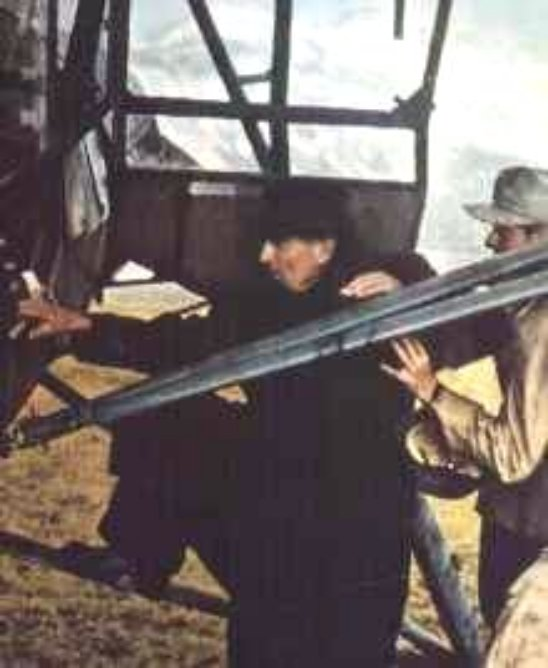 Otto Skorzeny, selected personally by Hitler and Ernst Kaltenbrunner to carry out the rescue mission, tracked him. 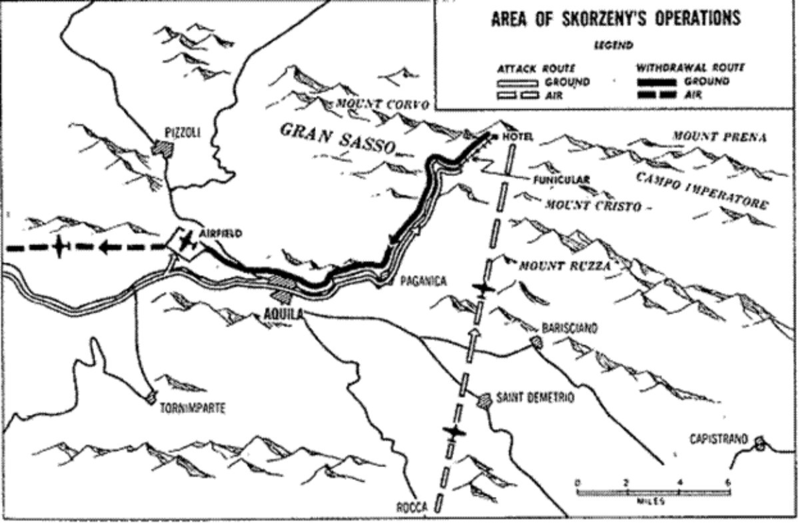 Intercepting a coded Italian radio message, Skorzeny used his own reconnaissance to determine that Mussolini was being imprisoned at Campo Imperatore Hotel, a ski resort at Campo Imperatore in Italy’s Gran Sasso, high in the Apennine Mountains. 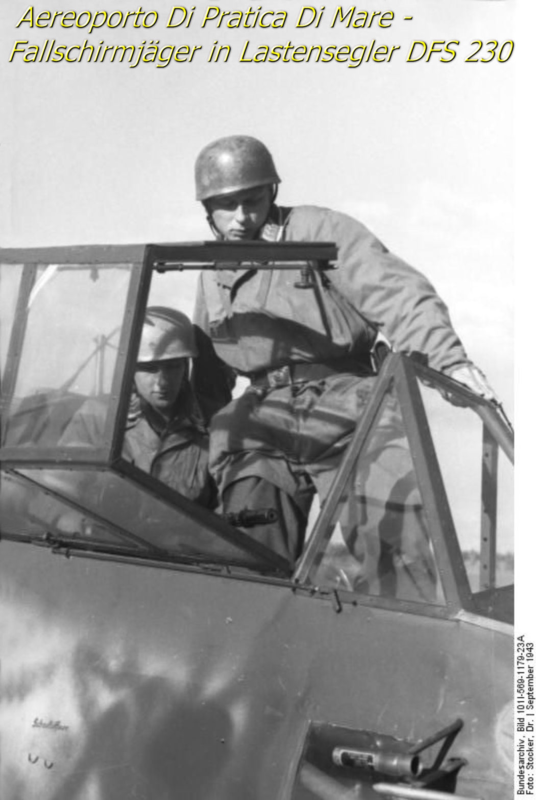 On 12 September 1943, Skorzeny joined the team led by Major Harald Mors to rescue Mussolini in a high-risk glider mission. 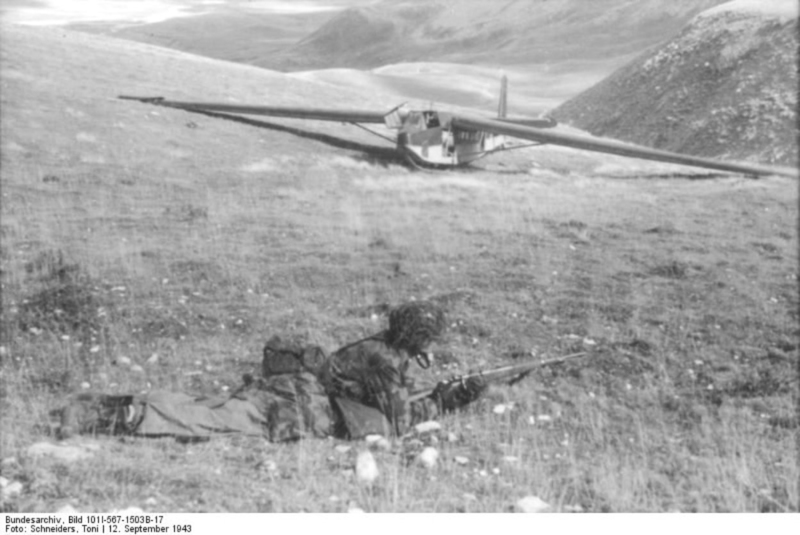 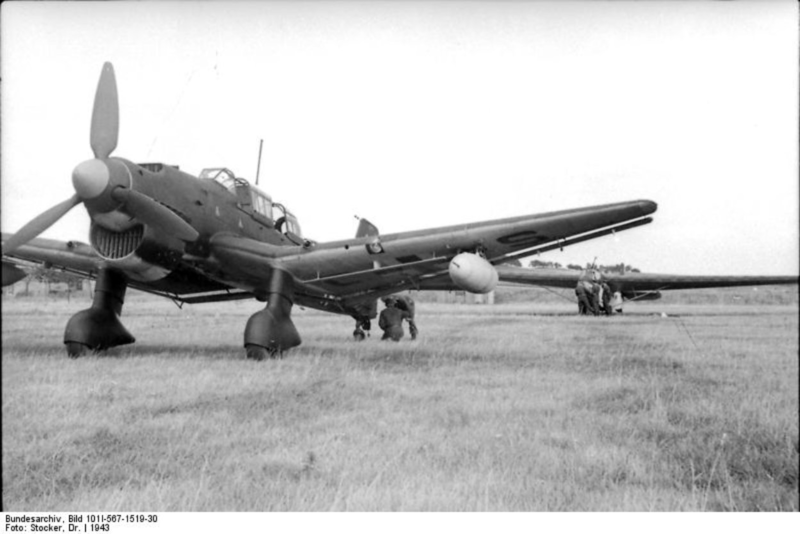 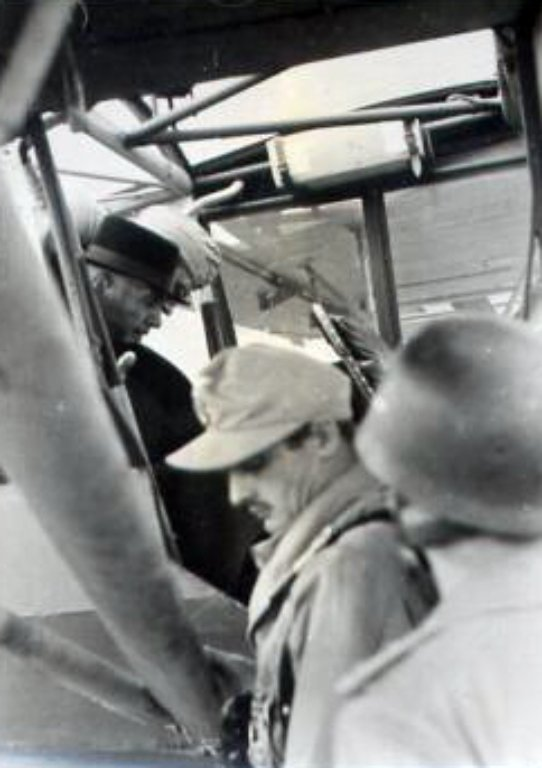 The operation on the ground at Campo Imperatore was led by Lieutenant Count Otto von Berlepsch, planned by Major Harald Mors and under orders from General Kurt Student, all Fallschirmjäger (German Air Force Paratroopers) officers. 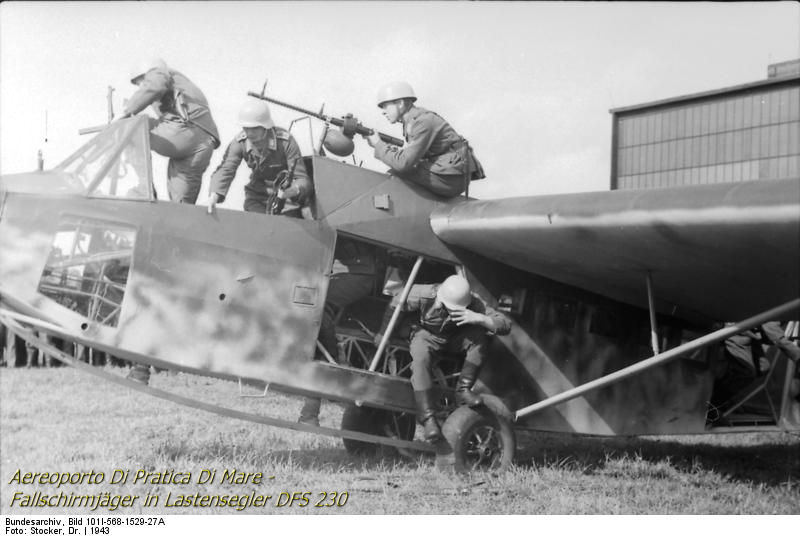 The commandos crashed their nine DFS 230 gliders into the nearby mountains, then overwhelmed Mussolini’s captors without a single shot being fired. 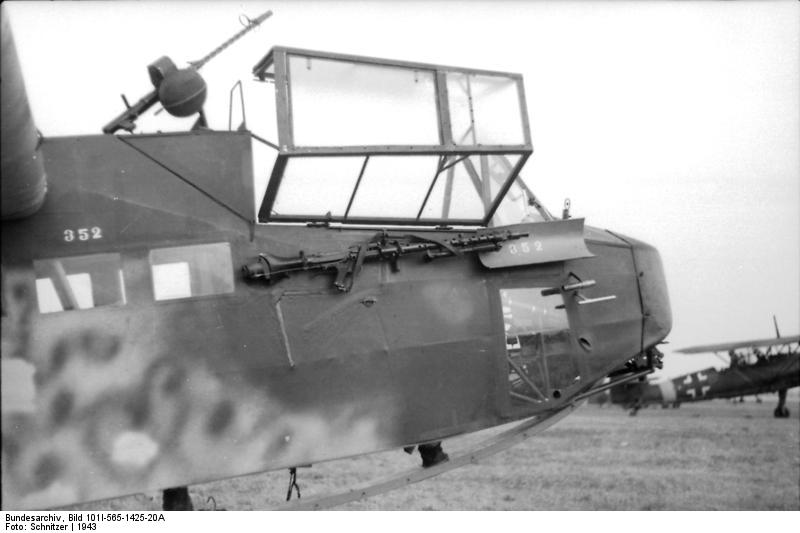 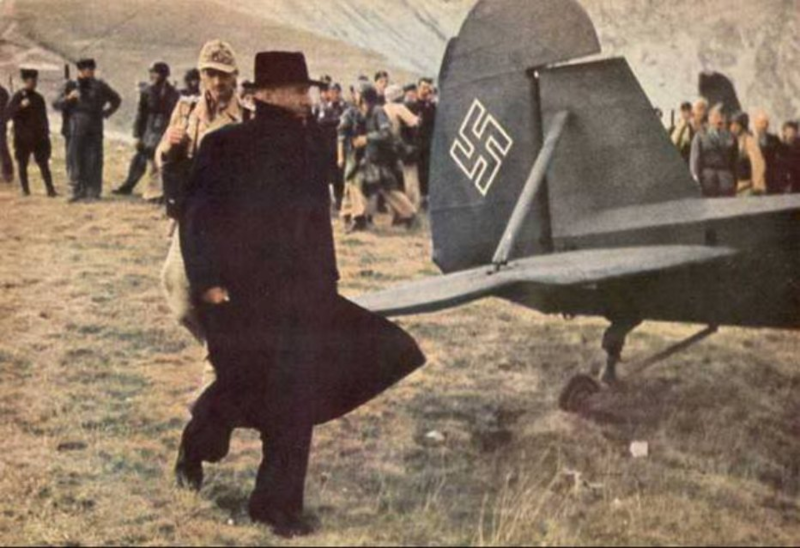 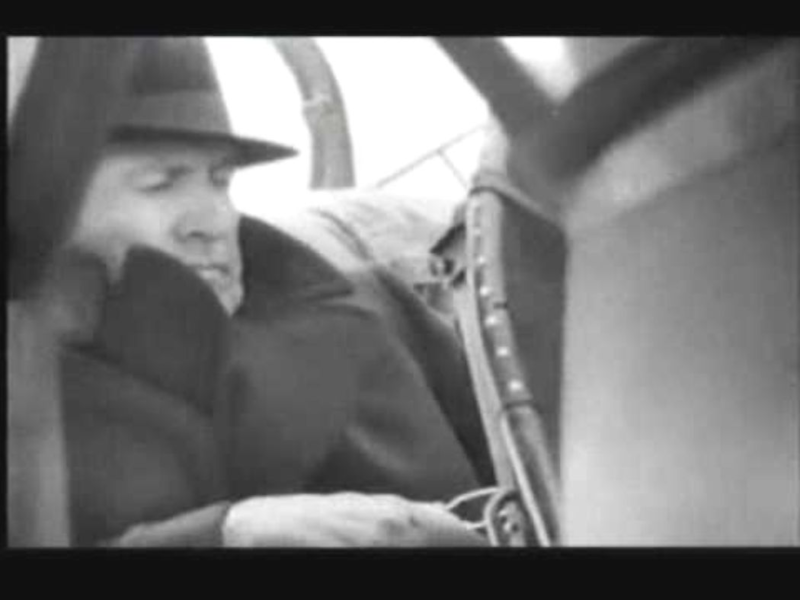 Skorzeny attacked the radio operator and his equipment, and formally greeted Mussolini with “Duce, the Führer has sent me to set you free!” to which Mussolini replied “I knew that my friend would not forsake me!” Mussolini was first flown from Campo Imperatore in a Luftwaffe Fieseler Fi 156 Storch STOL liaison aircraft, initially flown in by Captain Walter Gerlach, then taking off with Mussolini and Skorzeny (even though the weight of an extra passenger almost caused the tiny plane to crash) then on to Vienna, where Mussolini stayed overnight at the Hotel Imperial and was given a hero’s welcome. 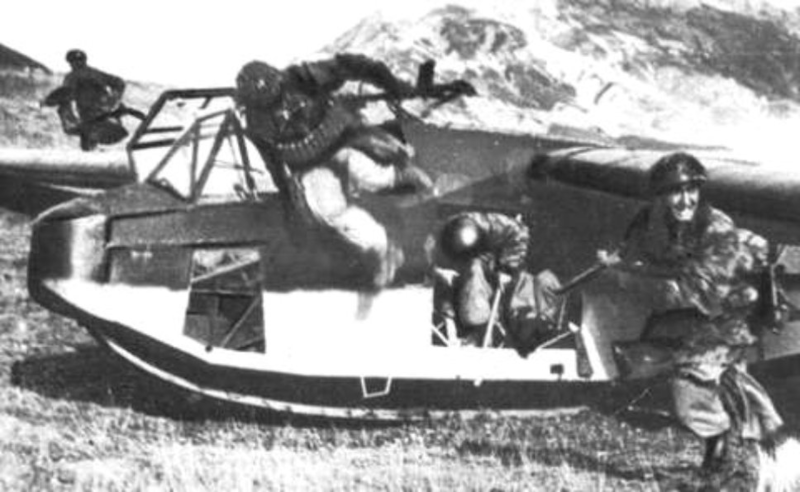 The Storch involved in rescuing Mussolini bore the radio code letters, or Stammkennzeichen, of “SJ + LL” in motion picture coverage, for propaganda purposes, of the daring rescue. 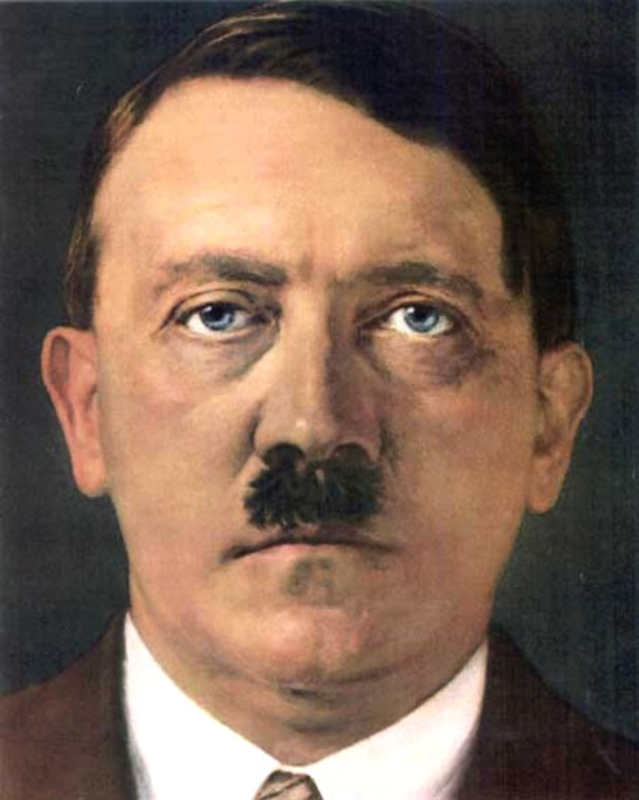 Adolf Hitler – 20 April 1889 – 30 April 1945) was a German politician who was the leader of the Nazi Party (Nationalsozialistische Deutsche Arbeiterpartei; NSDAP), Chancellor of Germany from 1933 to 1945, and Führer (“leader”) of Nazi Germany from 1934 to 1945. 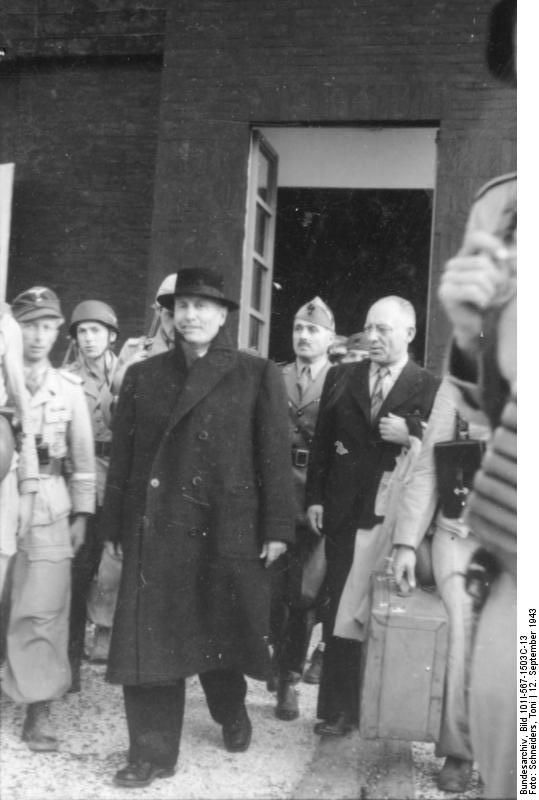 On 24 Jul 1943, Italian Prime Minister Benito Mussolini was ousted from power and was arrested after a meeting with King Vittorio Emanuele III. 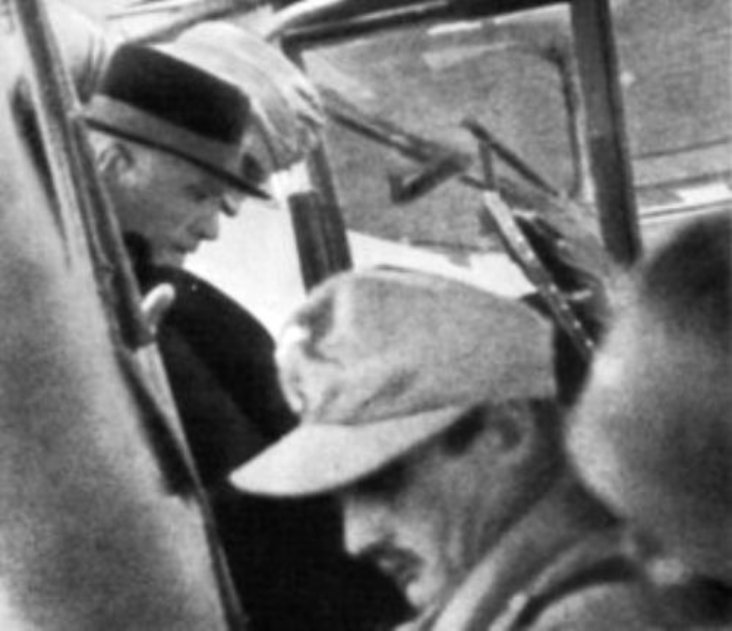 Three hours after his arrest, the king announced Mussolini’s resignation over the radio. 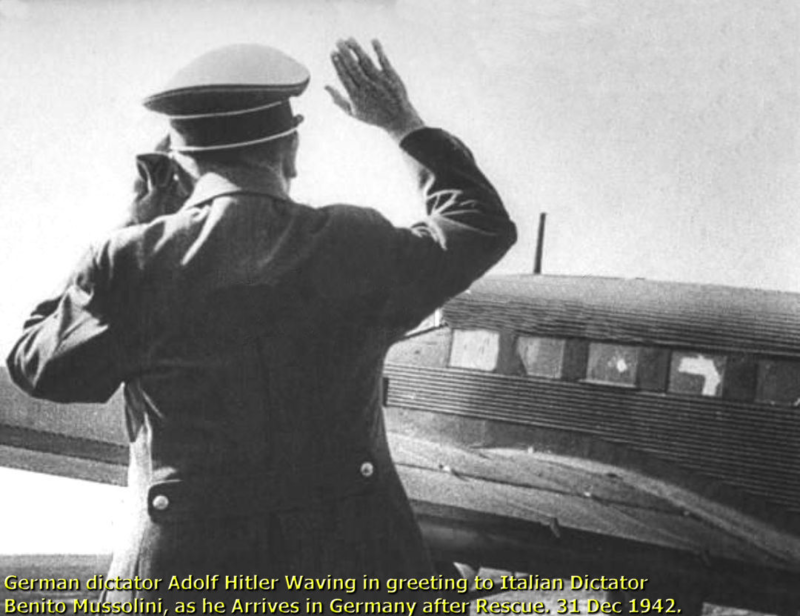 German leader Adolf Hitler, Having just met with Mussolini on 19 July, Was Outraged. 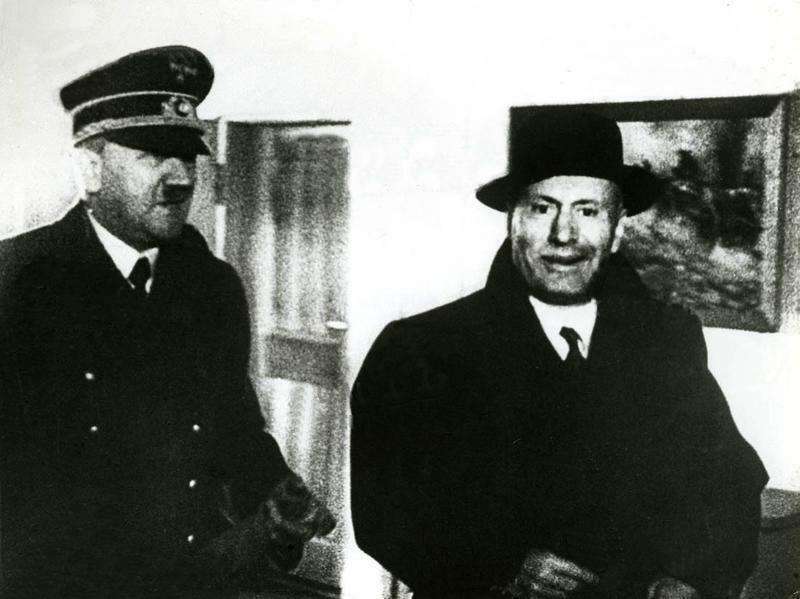 On 26 July, Hitler Ordered Mussolini to be Rescued, From Captivity and Delivered to Germany. 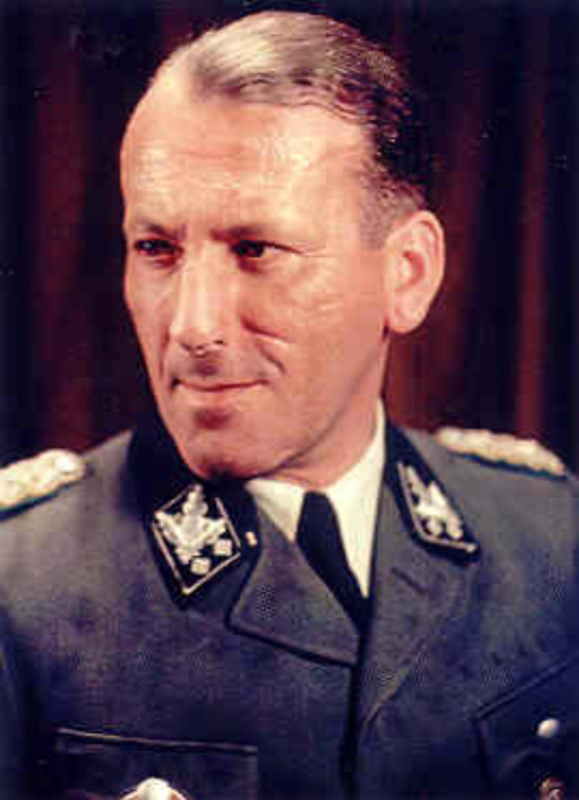 Ernst Kaltenbrunner (4 October 1903 – 16 October 1946) was a senior Austrian official during World War II, holding the offices of Chief of the RSHA, and President of Interpol from 1943 to 1945. 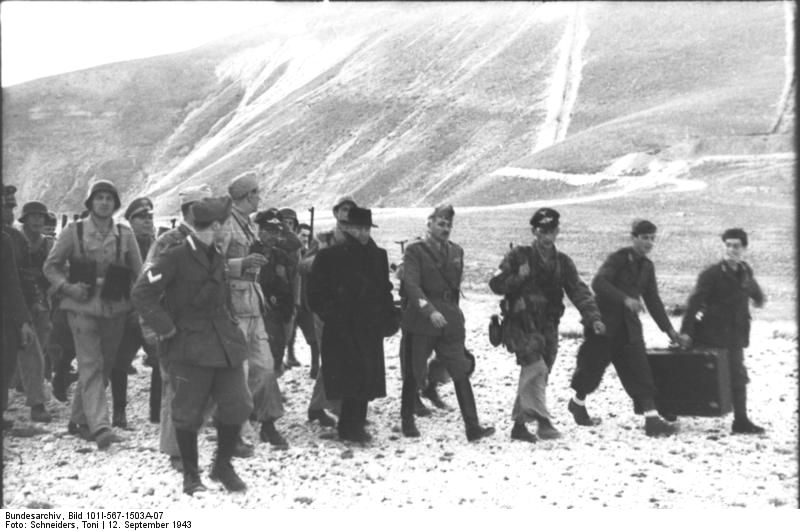 SS Captain Otto Skorzeny was selected personally by Hitler and Ernst Kaltenbrunner to carry out the mission, had been tracking Mussolini as he was moved from place to place by his captors. 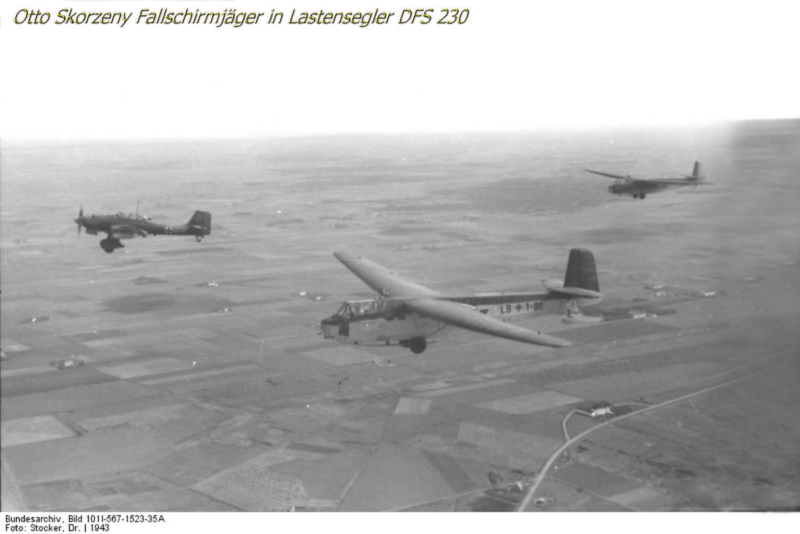 However operational control, logistics and planning were done by Fallschirmjäger. 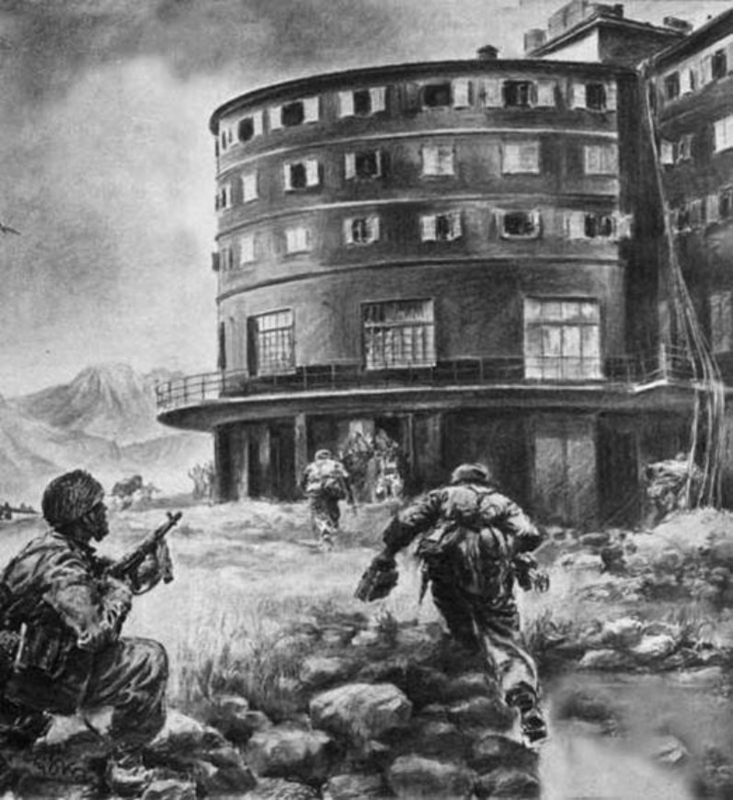 Skorzeny determined that Mussolini was being imprisoned at Campo Imperatore Hotel in Italy’s Gran Sasso in the Apennine Mountains. 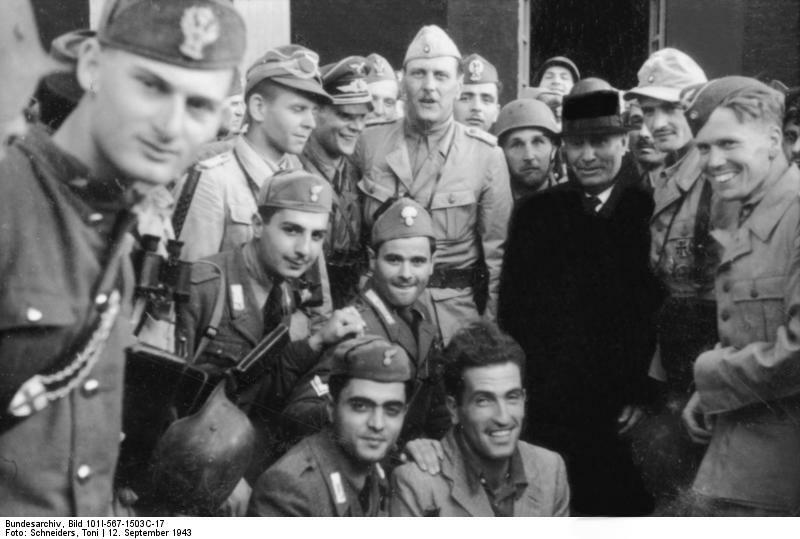 Skorzeny joined the Fallschirmjäger team with a few of his SS troops and the force led by Fallschirmjäger Major Harald Mors, to rescue Mussolini. 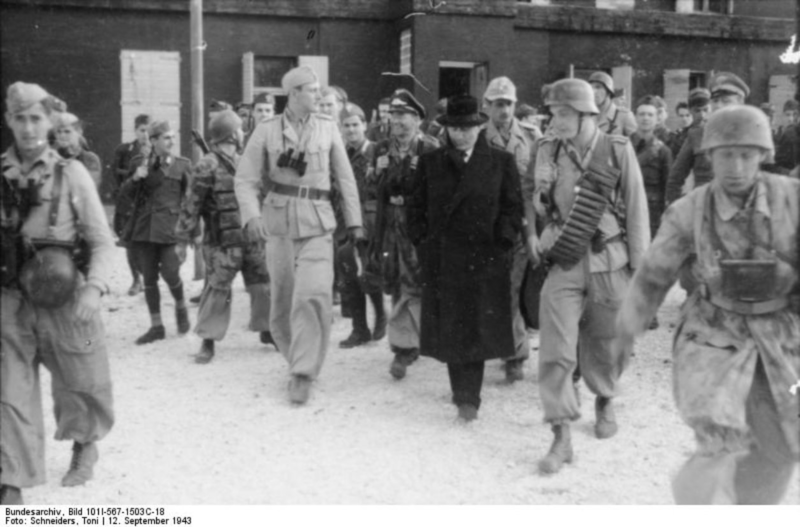 Skorzeny was viewed as a tag along participant who made false claims after the event to gain fame, while Major Mors planned and executed the operation using primarily Fallschirmjäger. 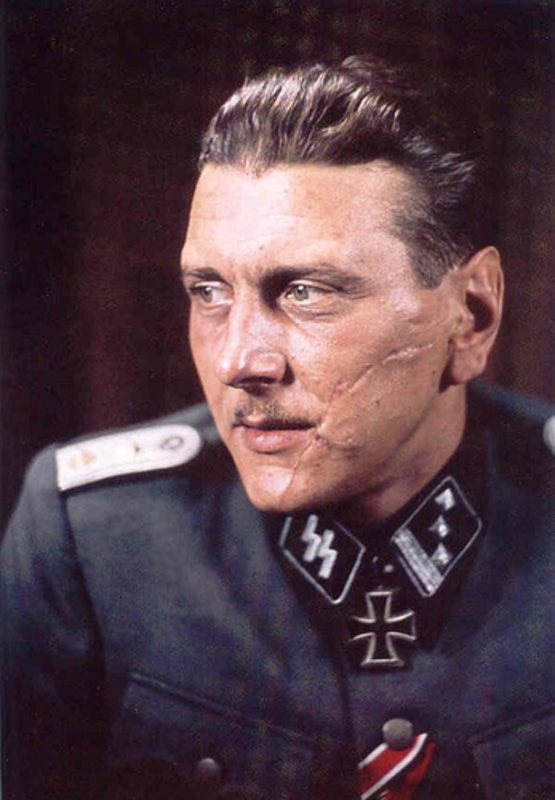 Otto Skorzeny (12 June 1908 – 5 July 1975) was an SS-Obersturmbannführer (Lieutenant Colonel) in the German Waffen-SS during World War II. 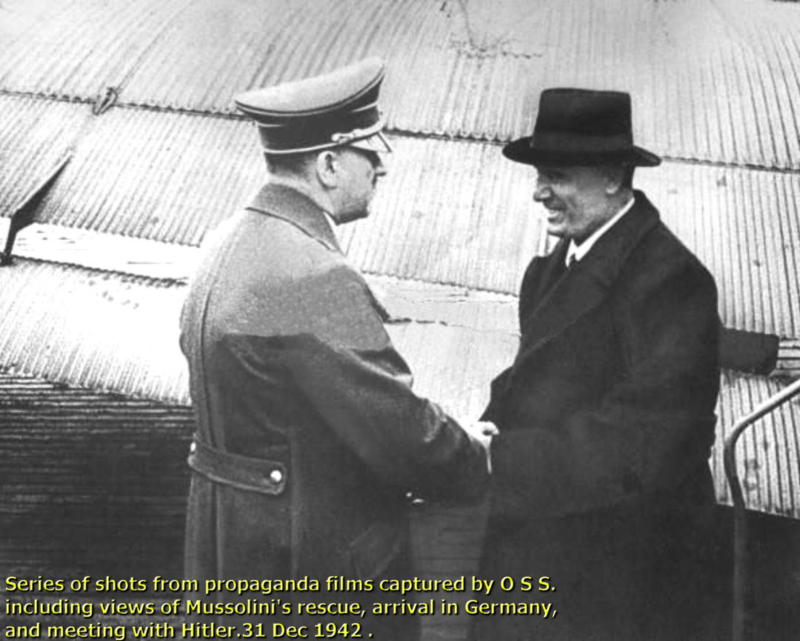 After fighting on the Eastern Front, he commanded a rescue mission that freed the deposed Italian dictator Benito Mussolini from captivity. 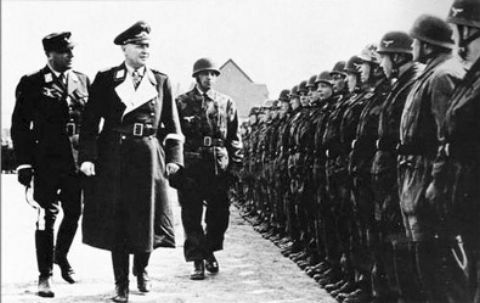 Skorzeny was also the leader of Operation Greif, in which German soldiers were to infiltrate through enemy lines, using their opponents’ uniforms and customs. 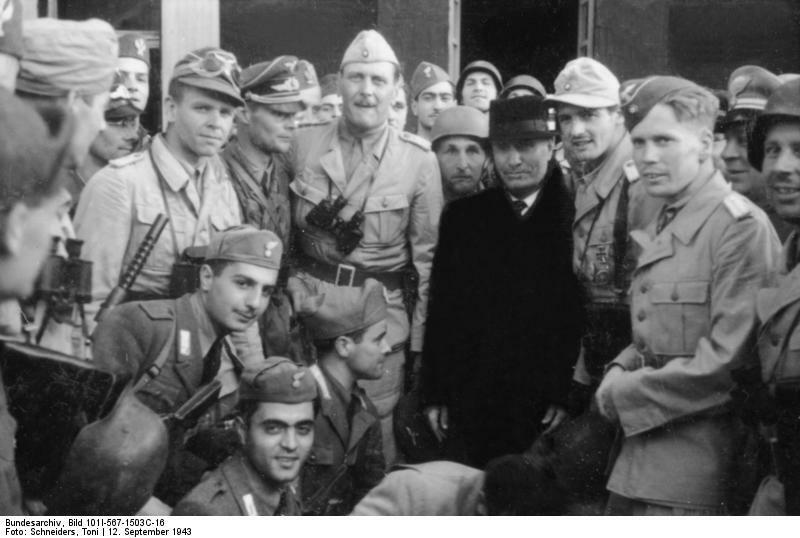 At the end of the war, Skorzeny was involved with the Werwolf guerrilla movement and the ODESSA network where Skorzeny would serve as Spanish coordinator. 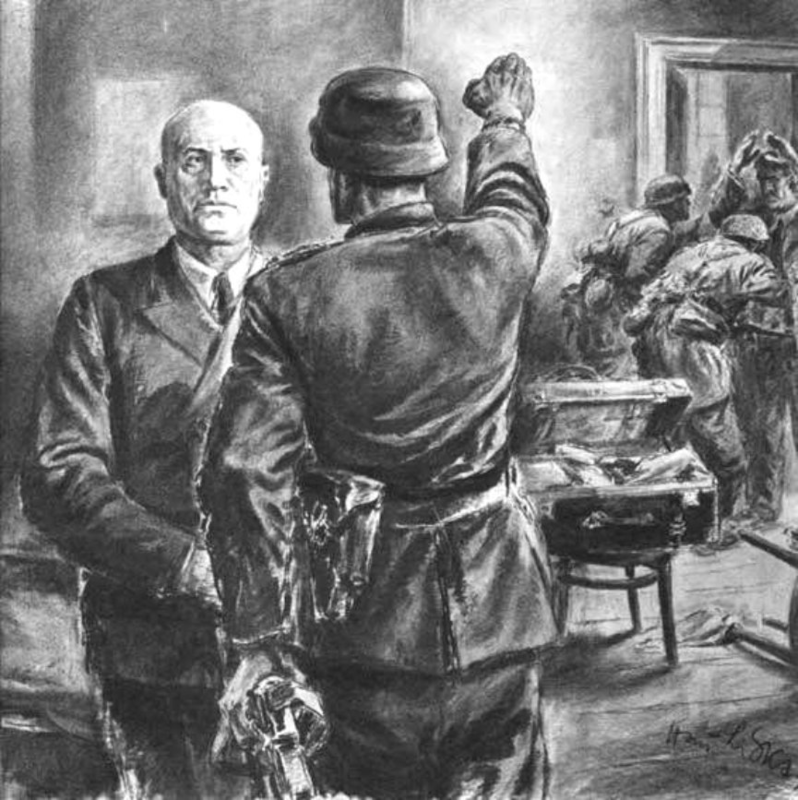 Although he was charged with breaching the 1907 Hague Convention in relation with Operation Greif, the Dachau Military Tribunal acquitted Skorzeny after the war. 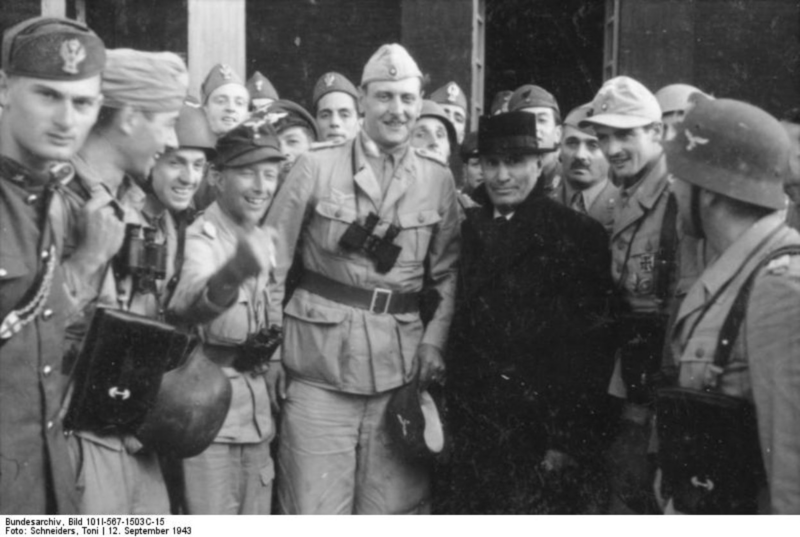 Skorzeny fled from his holding prison in 1948, first to France, and then to Spain. 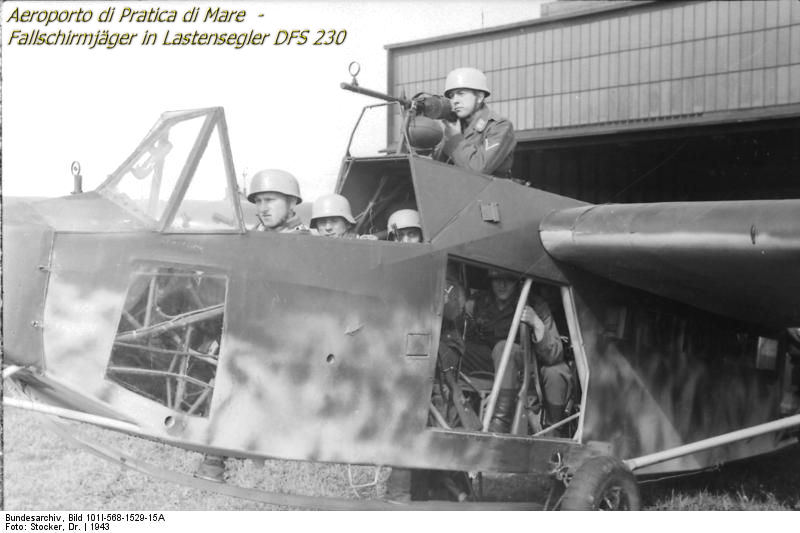 Kurt Student (12 May 1890 – 1 July 1978) was a German Luftwaffe general who fought as a fighter pilot during the First World War and as the commander of German Fallschirmjäger (paratroopers) during the Second World War.-In 1943, Student ordered Major Harald Mors to plan Operation Oak (Unternehmen Eiche), the successful raid conducted by a special Fallschirmjäger unit to free Italian dictator Benito Mussolini. 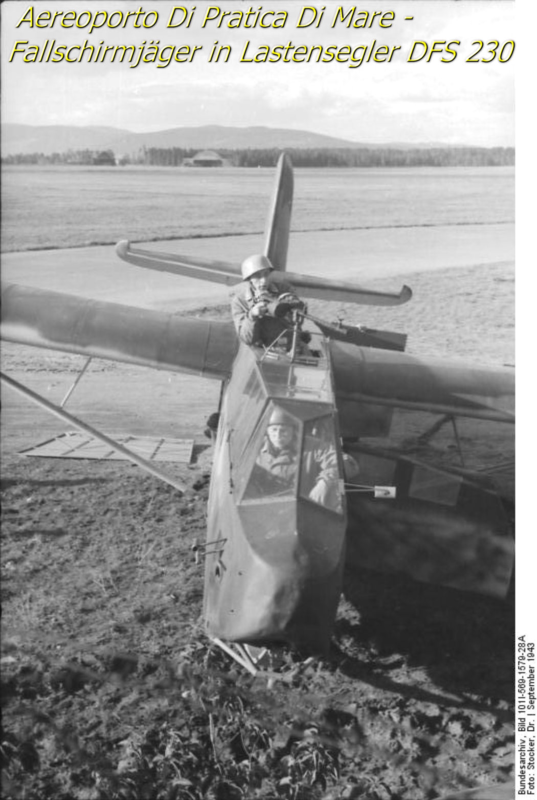 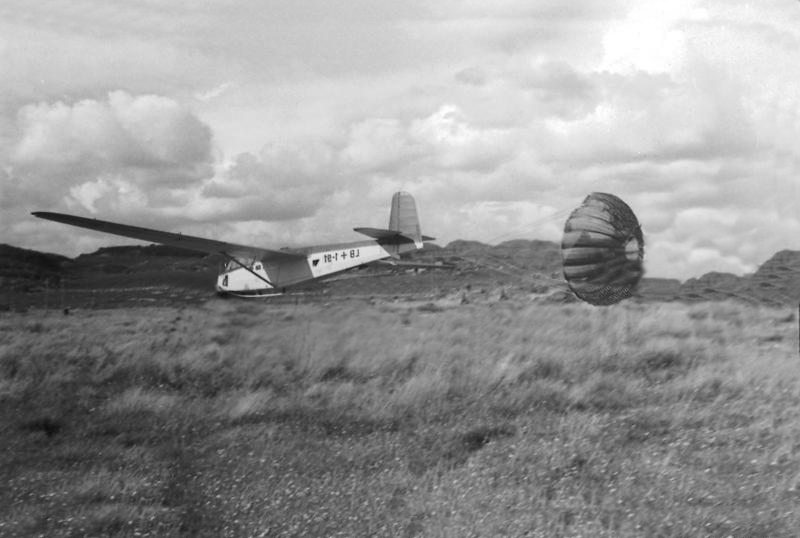 They landed with gliders and STOL aircraft on a hilltop. 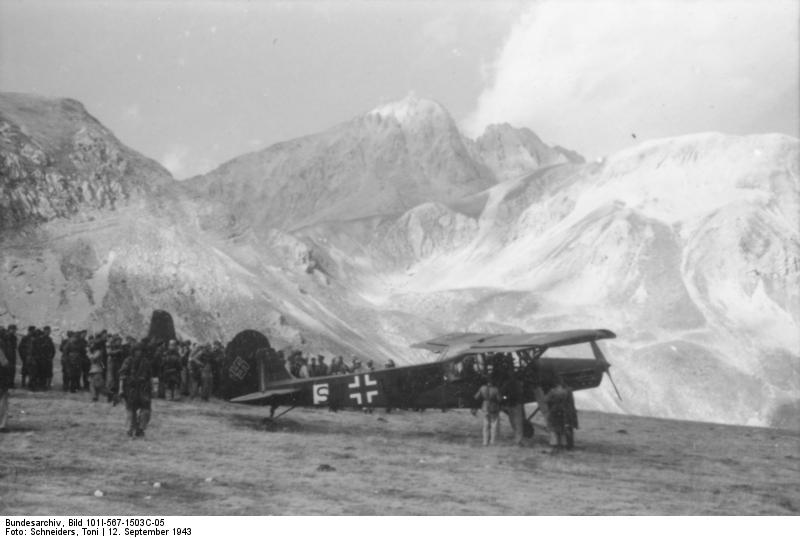 The well-known Waffen SS commando Otto Skorzeny took part in this operation. 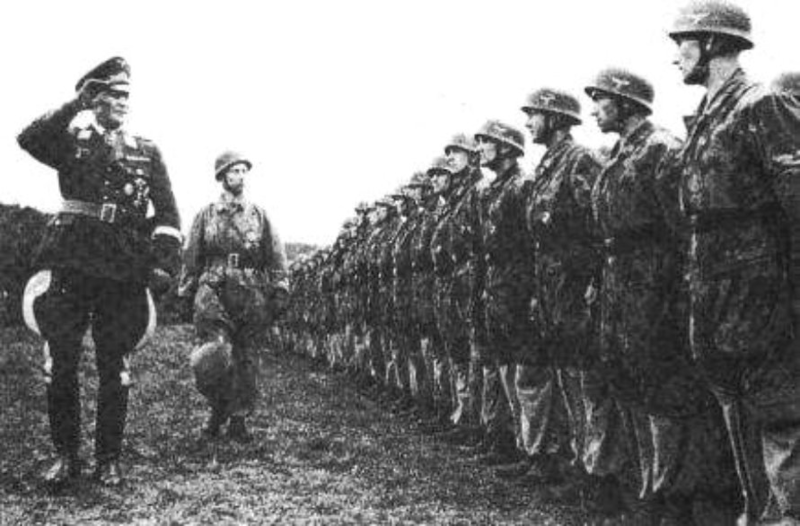 Student received the Oak Leaves to the Knight’s Cross of the Iron Cross for his role in the operation. 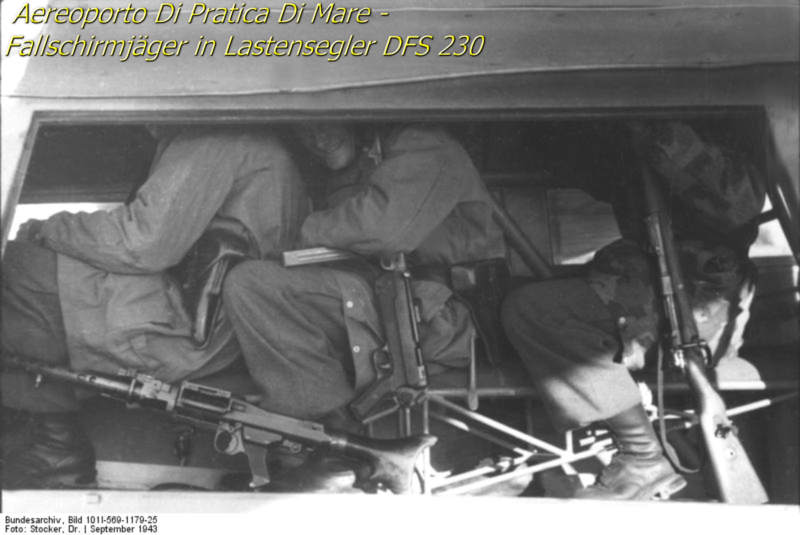 Student was transferred to Italy and later to France, where he was involved in the defence of Normandy in 1944. 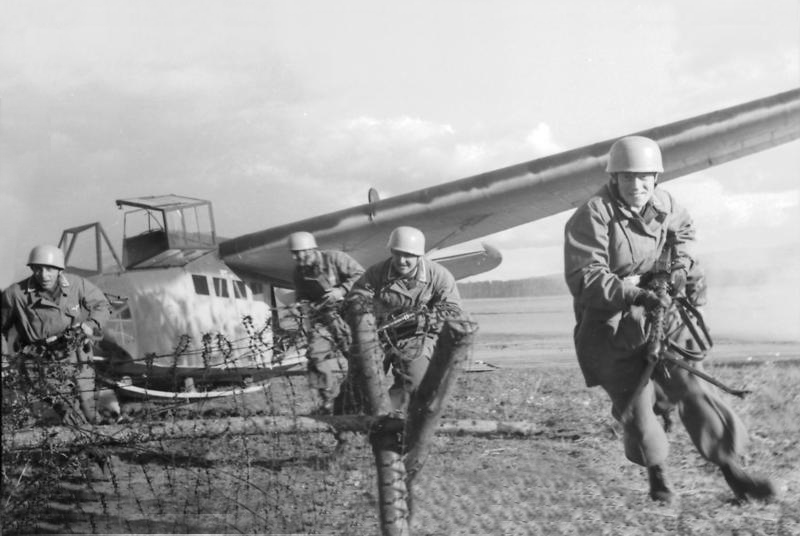 He was put in charge of the First Paratroop Army and took part in countering the Allied Operation Market Garden, near Arnhem. 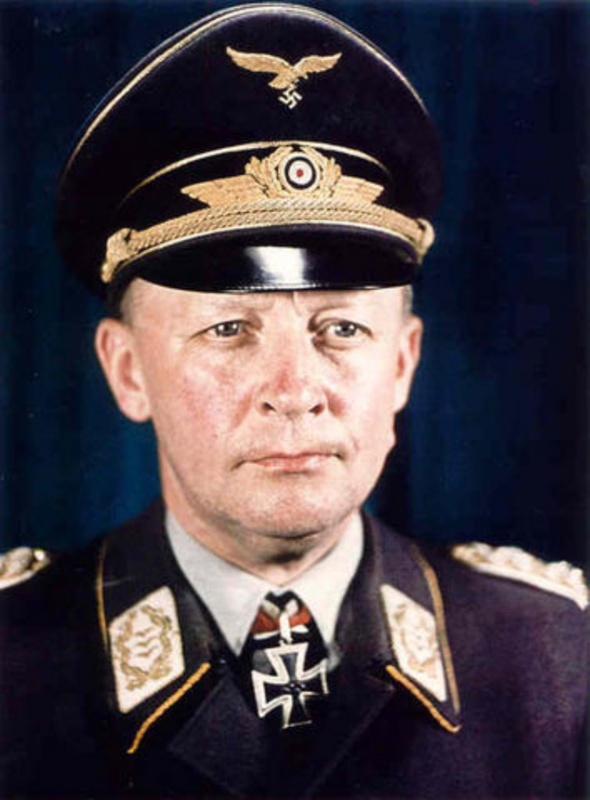 After a brief time at the Eastern Front in Mecklenburg in 1945, he was captured by British forces in Schleswig-Holstein in April of that same year, before he could take command of Army Group Vistula. 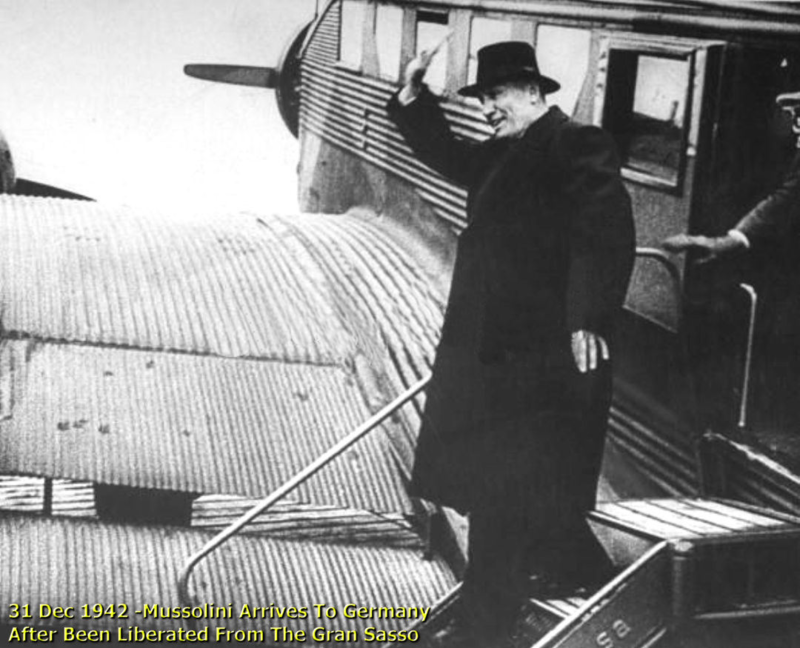 He was held by the British as a prisoner of war until freed in 1948. 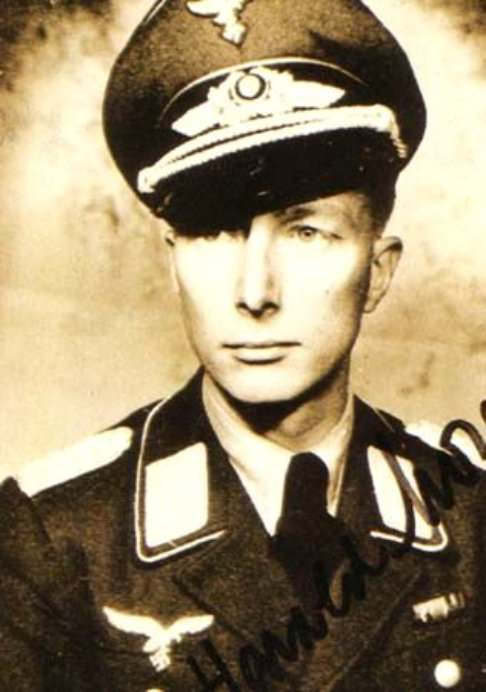 Major Otto-Harald Mors (1910 – February 11, 2001), was a battalion commander, with the Fallschirmjäger, who planned and led the Gran Sasso raid to rescue Benito Mussolini, following his arrest in September 1943. 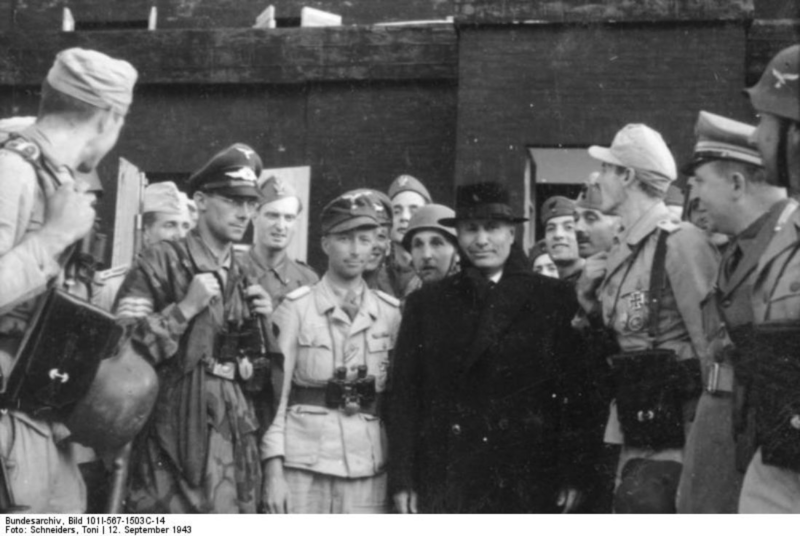 He received the German Cross in Gold on 26 September 1943. 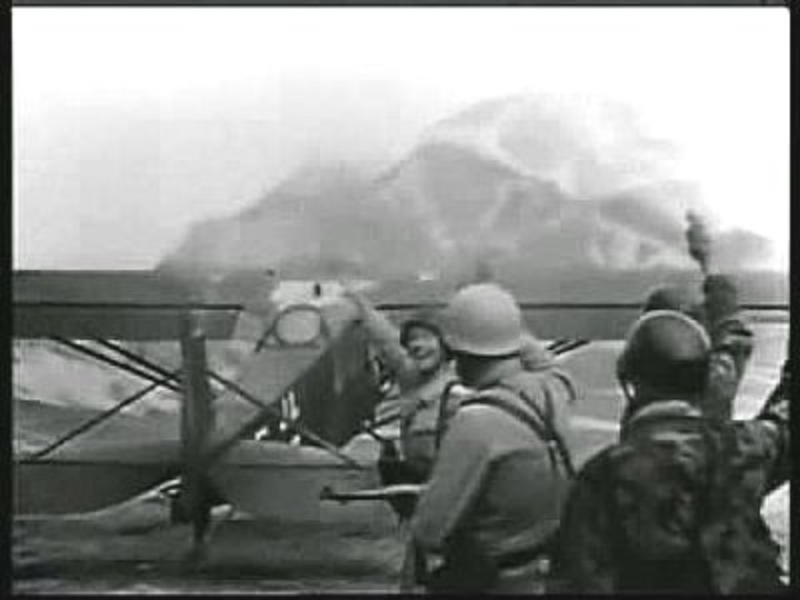 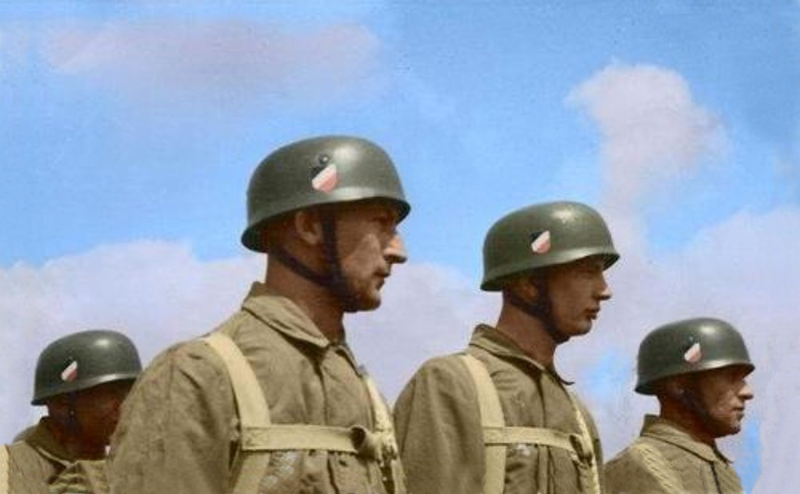 General Kurt Student Salute The German Paratroopers Before The Gran Sasso Raid.